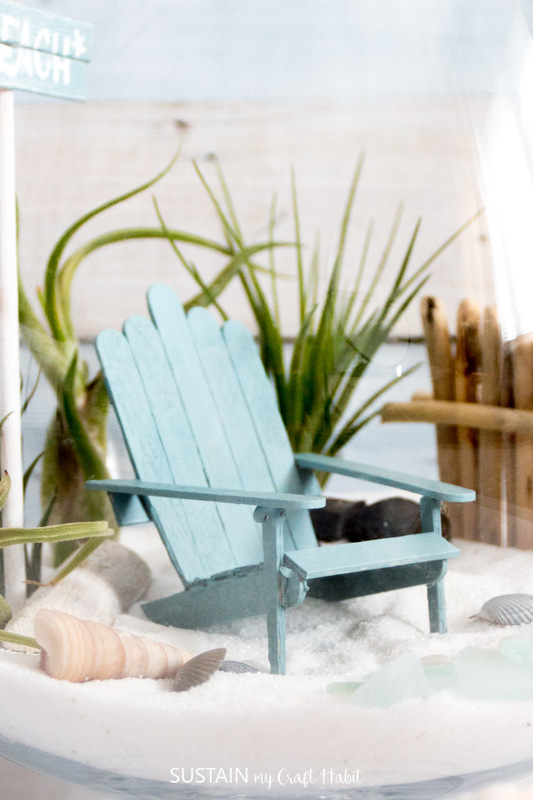 These mini Adirondack chairs are the perfect place for any beach-loving fairy to spend her summer day at the beach in! Hey guys! 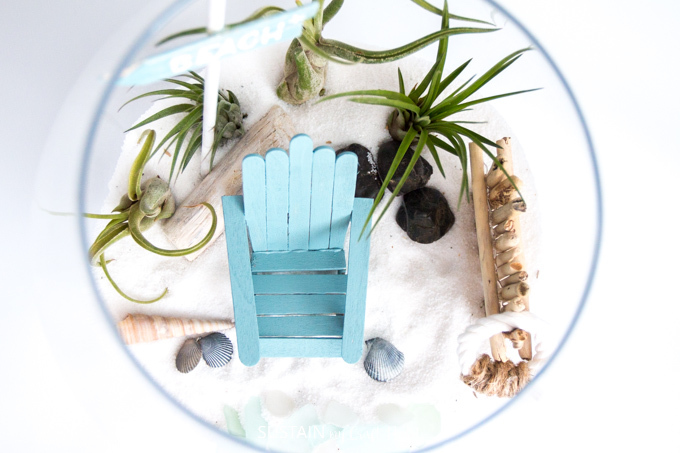 A few months ago we shared how we made this adorable beachy mini garden terrarium for our air plants. 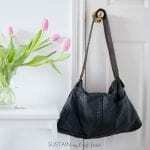 By far and away it’s been the runaway hit of the summer here at Sustain My Craft Habit. 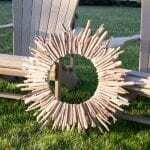 I promised that I would share the tutorial for how to make the mini Adirondack chairs with wooden craft sticks (e.g. 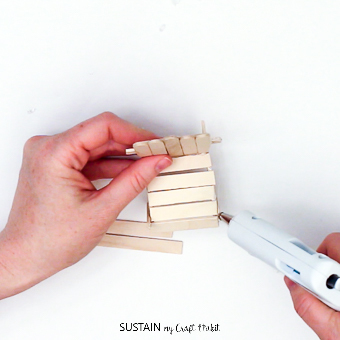 Popsicle sticks). With the chaos of summer and all the kids at home, it’s taken me a little longer to put together than I thought. 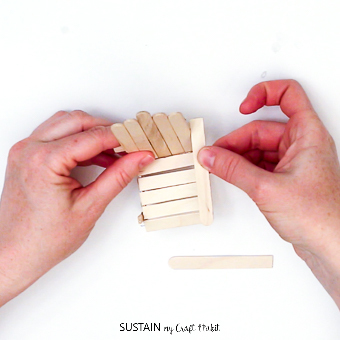 But here it is: our step-by-step tutorial to make the cute beach chairs for the mini-garden. If you’ve been around here for a little while you’ll know that we are huge fans of the beach. 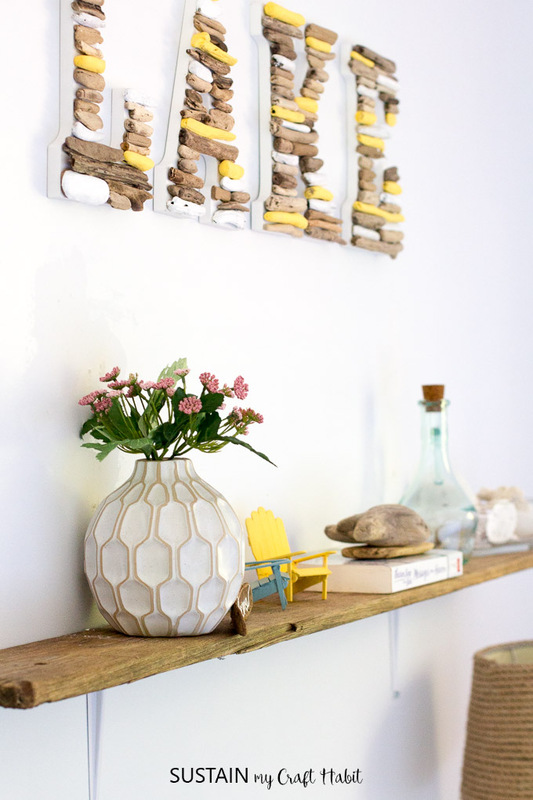 We love making stuff with driftwood (such as our DIY driftwood mirror and painted driftwood wall art) and beach stones (we recently painted some rocks to look like sharks)! 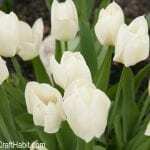 We’d love for you to poke around the blog for all kind of nature-inspired craft and DIY ideas. 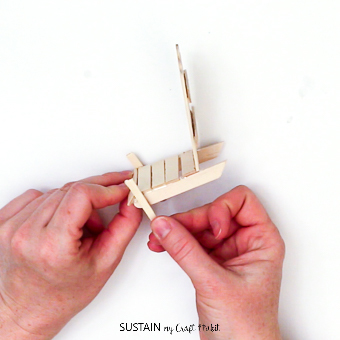 We’re happy to share this step-by-step video tutorial for how to make the mini Adirondack chairs. Be sure to refer to the printable Instruction Guide below as you work through the steps. 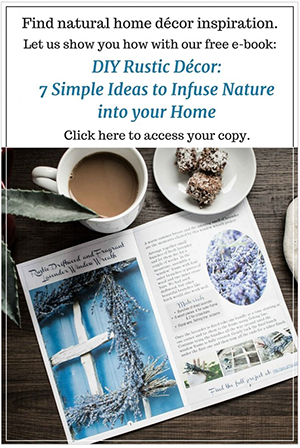 We’d also love it if you’d subscribe to our YouTube Channel for more nature-inspired DIY, craft and home decor ideas! 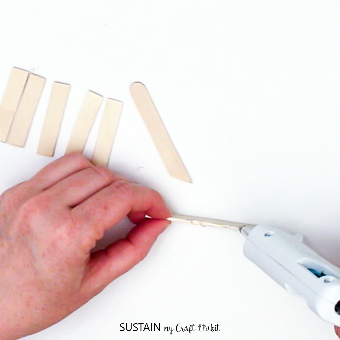 Using wood snippers, cut the popsicle sticks to size as per our Instruction Guide. 2. 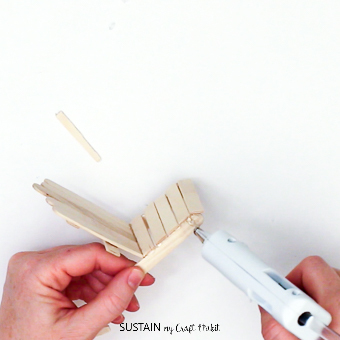 Glue together the back of the chair. 3. Assemble the seat of the chair. 4. Attach the seat to the back of the chair. 6. Attach the arms to the chair. 7. 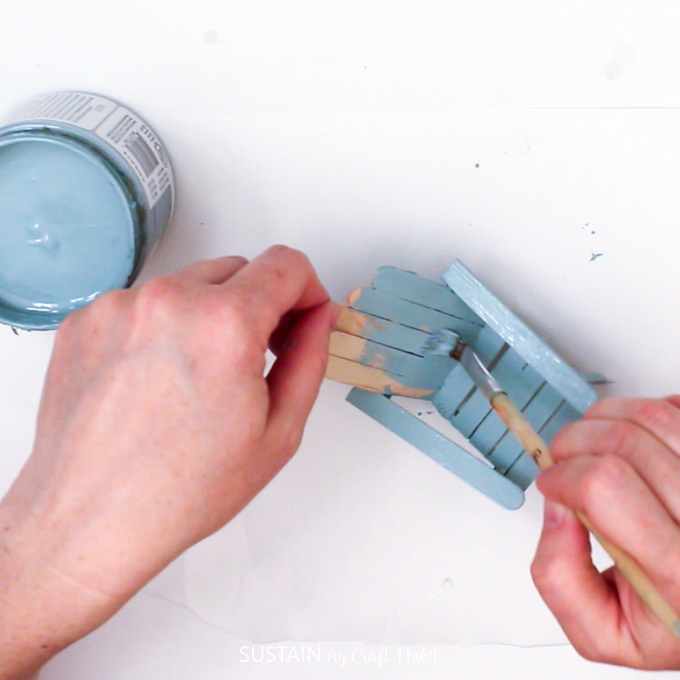 Once the glue is completely cooled and dried, paint you mini Adirondack chairs in a colour of your choice. 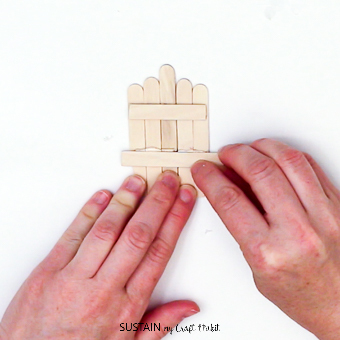 These little chairs are one of our favourite little DIYs on the blog. Not only is it perfect for our little beachy air plant mini garden, but the blue and yellow one together look adorable on our rustic DIY driftwood shelf. 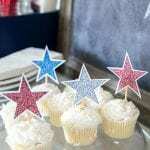 They might also make a fun addition to our beach-themed centerpiece idea. The hardest part is keeping them away from the kids who constantly want to play with them! Thank you so much for stopping by. Let us know if you have any questions in making the chairs and/or fairy garden. 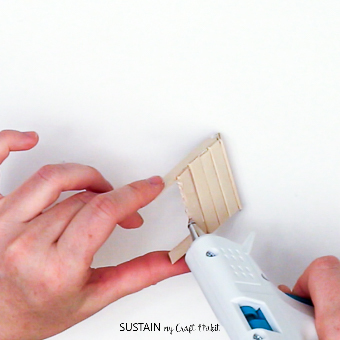 We’d love to see a picture if you make one: be sure to tag us @sustainmycrafthabit on Instagram, Twitter and Facebook! 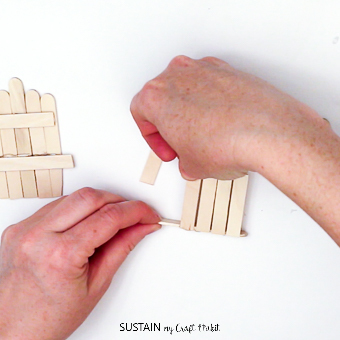 Next we need to figure out how to make the full-sized Adirondack chairs! Thank you for the exact directions for the mini chair. I tried to make one recently just looking at your pictures. 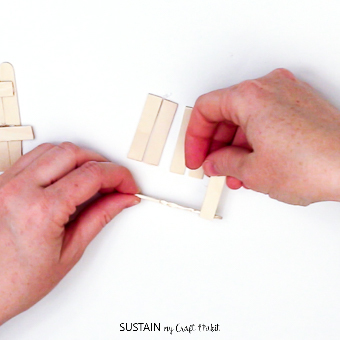 What a mess I had, not knowing how long to cut the popsicle sticks. Thanks for posting. Will be remaking my chair ASAP! PS, I love the rest of my fairy garden. That’s so great Debbie! Let us know if you have any questions in making the chair. 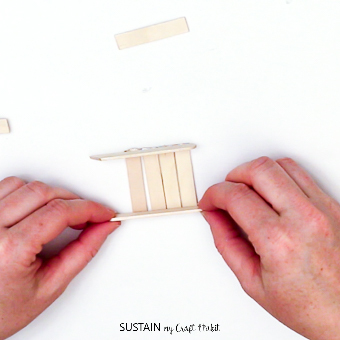 We’re working on a little video tutorial which should be ready soon. I can hardly wait to make one of these cute chairs and Fairy Beach Garden. Thank you I know my Grand daughters Ava, Max and Bella will take these for their LPS so Ill need to make lots. These chairs are just the most adorable things! The whole terrarium is lovely – so evocative of all that’s great about summer! Is it poosible to use glue other than hot glue as i dont have that? Hi Ruby. I think you could try but would need to give the glue a chance to dry in between the steps so that the chair stays together. Good luck! Hi , I am making your Beachy fairy garden . 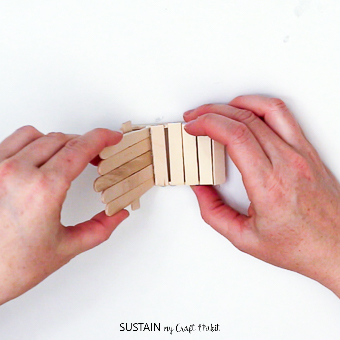 I cut all my Popsicle sticks according to your size specifications. I need to know what sizes go where ?? Ie is the 2.75 for the arms legs back ????? Can you please be more specific as to what sizes go where and how many ??? Thank you !! What are the dimensions of the glass bowl? How much sand did you use? Did you make the fence, sign, and life preserver? If so, directions and supplies. Hi Kelly. 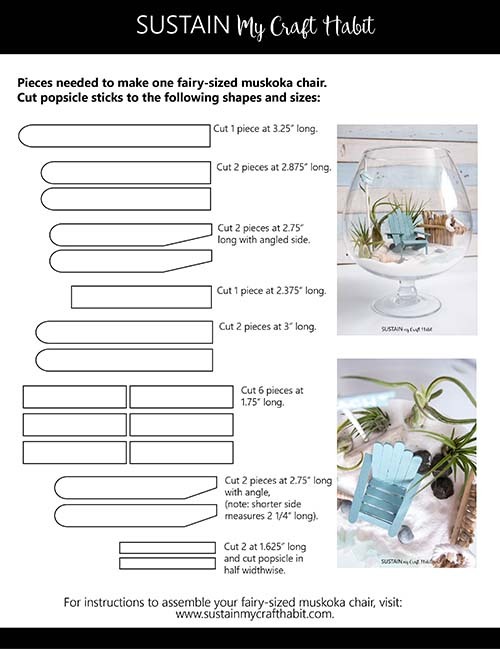 You can find all the supplies needed to make the project here: https://sustainmycrafthabit.com/diy-mini-garden-air-plant-terrarium/ and instructions here: https://www.pastelsandmacarons.com/2017/06/10/diy-fairy-garden-beach-idea/ .